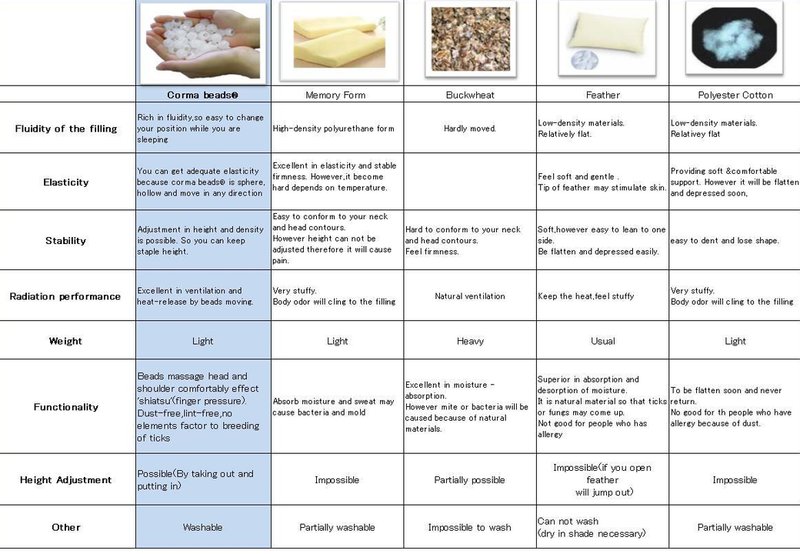 developed to make more comfortable pillow,made out of polyethylene. 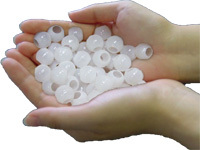 In Japan,the pillow filled with Corma Beads® are widely used in hospitals and hotels. 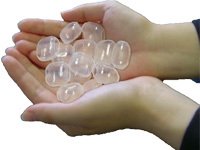 This filling provide the user with a special feeling never experienced before. 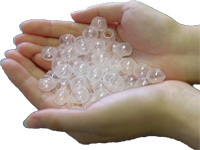 the user supremely gentle and deeper sleep.We are selling the pillow filled with Corma Beads®,Please visit this page. 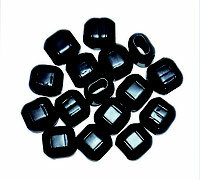 It is little bit bigger than Acorn Corma Beads.Shape is square. It is excellent in air circulation and heat radiation. naturally fit to the head and neck. 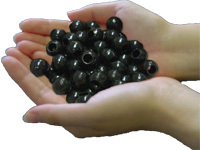 The permeability is preeminent because Acorn Corma Beads is large shape and excellent in fluidity. Pillow inside is always filled with fresh air. 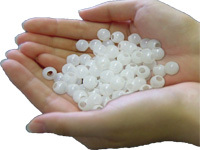 Lighter than Corma Beads by approx 30% and shape is much smaller. It is perfect fit to the head and the pillow. Therefore makes it easy to turn over in bed and neck stress will be released. and provide you luxurious comfort sleep. the bad smell is dissolved chemically. Mixed with green tea flavonoid which has deodorant antimicrobial effect,and dissolved the bad odor chemically. Also excellent in immediate effectively, the effect continues for a long time. 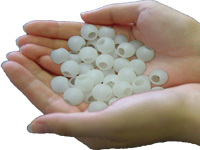 This Beads does not get dust easily.So it is ideal for highly sensitive people with allergies. because of safety and harmlessness. *Environmentally conscious product.A natural tea product kind both people ant the earth. This is jointly developed with Itoen,which is Japanese leading tea company. 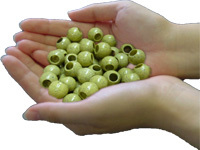 This Ocha Corma Beads® is mixed with used green tea leaves and Corma Beads®. Fragrance of green tea makes the user deep and comfort sleep. 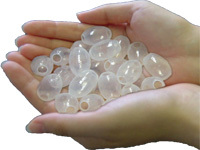 and reborn this touchably-soft　beads. 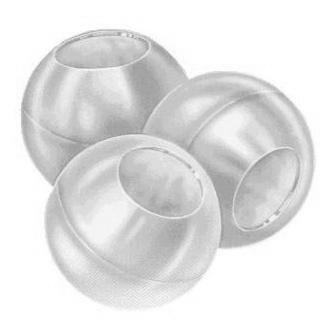 while still providing ample air circulation, has a completely new feel and texture. Bincho-tan charcoal, Excellent in eliminating humidity and smelling. 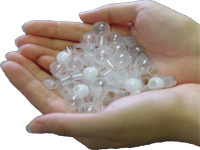 Conductivity is good and it prevent from generating static electricity. Also elastic and durability is outstanding. 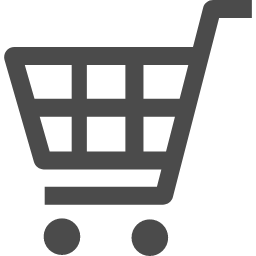 If you are interested in wholesale,please contact us.